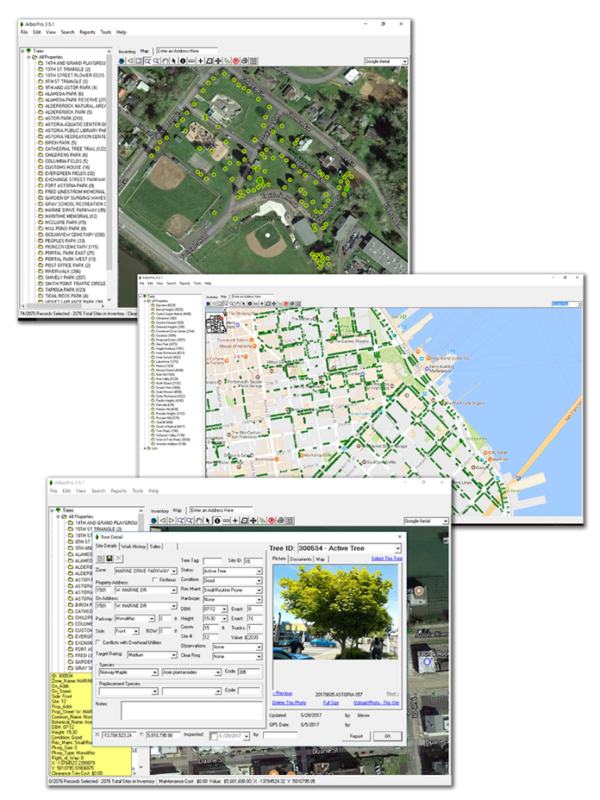 Compatible with GIS, ESRI shapefile and iTree, ArborPro 3.6 is our flagship desktop software for managing your urban forest. It features a mapping, a work order generator, call log and robust search and filtering capabilities. Enterprise Edition brings the features of ArborPro 3.6 to any web-enabled device. Because it securely stores all of your data online in the cloud, you can make updates in the field in real time. ArborPro’s Community Viewer allows you to share your specified data with your community at your discretion. This application makes it easy to educate your community about the benefits of your urban forest. The ArborPro Software Suite isn’t just for trees! 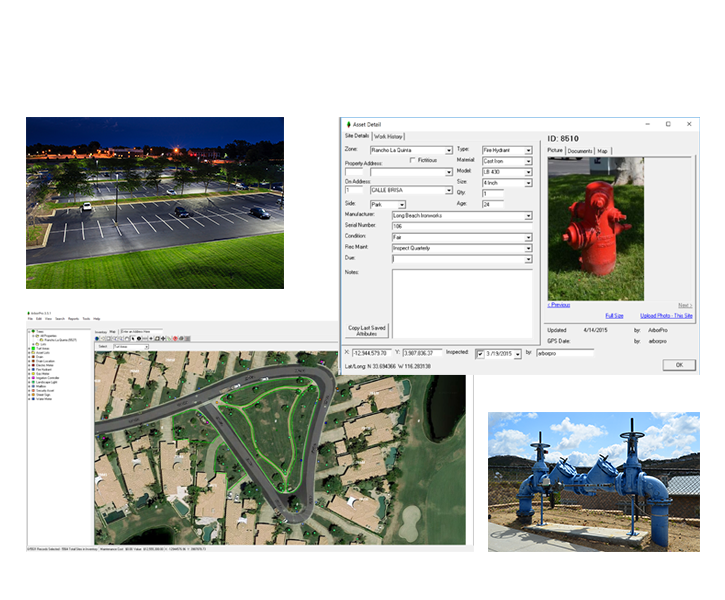 With our Turf & Asset module, you can manage all of your assets like signage, fire hydrants, emergency call boxes, picnic tables, water fountains, back flow valves and more! Throughout the country, municipalities, universities, and parks departments used the ArborPro Tree Management Software Suite because of its ease of use. ArborPro utilizes the latest in GIS (Geographic Information System) technology to provide the user with an immediate visual representation of any tree in the urban forest. This software suite offers flexibility and customization capabilities that will make it relevant for years to come. 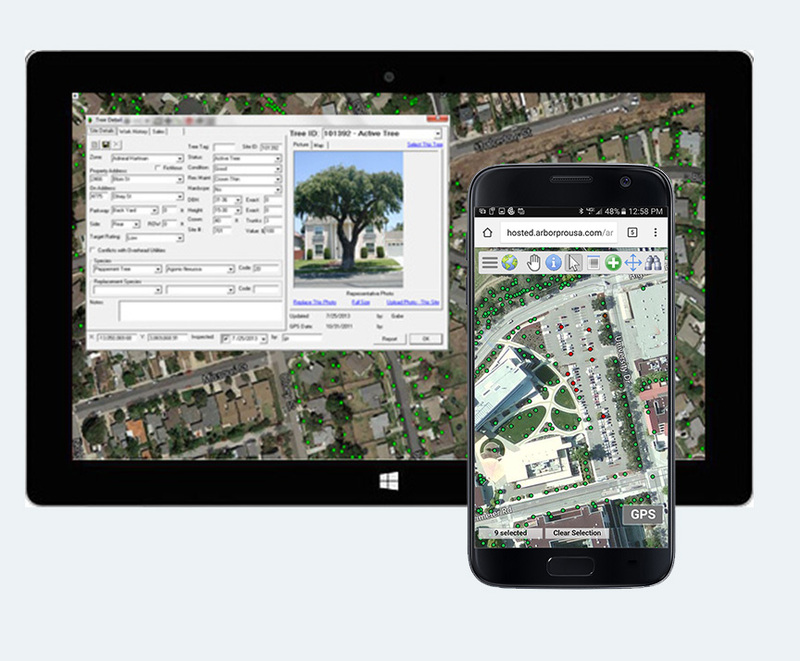 Developed by a team of certified arborists and GIS professionals, ArborPro 3.6 meets its development goal of being an easy to use, powerful, GIS tree inventory program that assists our clients to efficiently manage their urban forests. Field personnel find the GIS database program easy to use yet powerful enough for advanced spatial queries. GIS staff can access the data in ArborPro and us it as a layer in the ArcGIS environment. The ArborPro Tree Inventory Software Suite is rich with features like work order management and call manager. Our program is provided in a desktop version and a clouds version (ArborPro Enterprise Edition); all features are accessible through wither version. 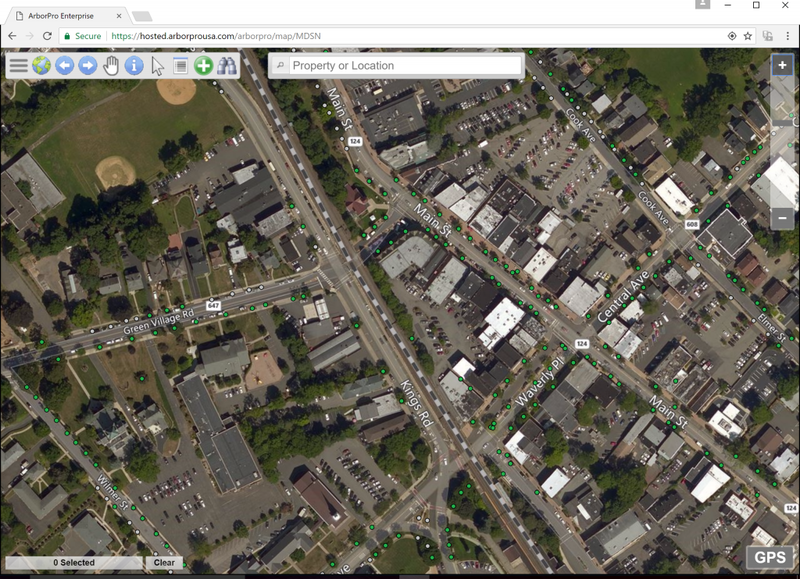 In addition, you can utilize the desktop version and cloud version simultaneously to manage your urban forest. ArborPro Enterprise, our cloud based GIS tree inventory and management software is a secure, online system. It allows you to access, plot, search, query, record maintenance records and update your tree inventory on any web-enabled device. It instantly updates all functions of our easy to use, comprehensive tree inventory and management software, to the cloud. Whether you need to import existing inventory data, create a new inventory with in-house staff, or have our certified arborists perform a detailed inventory customized for your needs, ArborPro Enterprise is for you! The Community Viewer allows you post your tree inventory online so your public can view your urban forest’s attributes on their mobile device or tablet. With GPS in their phones, users can navigate through your urban forest to see any specific tree’s location, size and species, as well as the eco-benefits of the city’s urban forest. – greenhouse gas emissions, water quality, energy savings, air quality and property values by user specified areas. Because it’s entirely customizable, you can choose which data is shared with the public. You are in total control of the information they access. With ArborPro Turf & Asset Module, you can inventory and maintain other physical assets. Catalog lighting, benches, valves, irrigation, mailboxes, etc.